As always, Facebook is fairly thorough. With this new launch, it appears they thought of everything. Here’s a quick list of what we can look forward to with Facebook Watch, broken down to three main features. Facebook is staying true to its mode of operations. In the same way users have a custom news feed, and even see ads catered to them, they will be able to discover shows that they may like. This will be based on what friends are watching, as well as what’s popular. This seems similar to YouTube’s “Trending” video list. Get caught up on the shows you love. 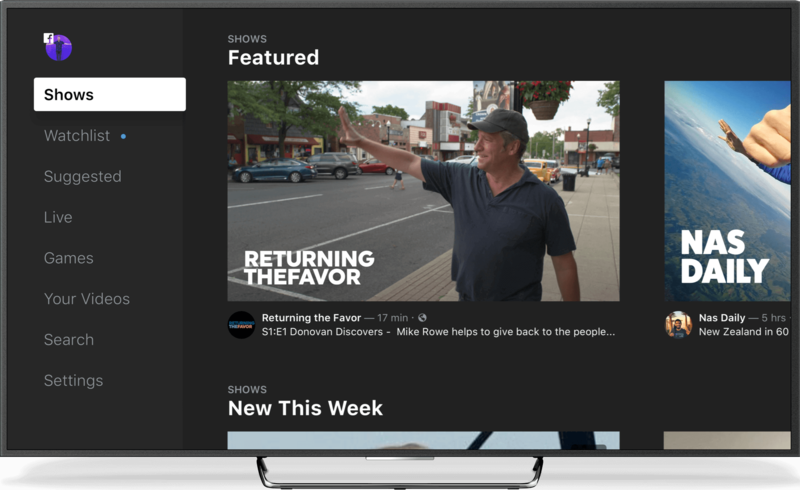 With the new Facebook Watch tab, users will be able to follow shows and even save specific episodes. Facebook has given users the ability to save articles and posts for a while now, and this is an extension of that capability. It will allow you to see a potentially interesting show and watch it when you have time. 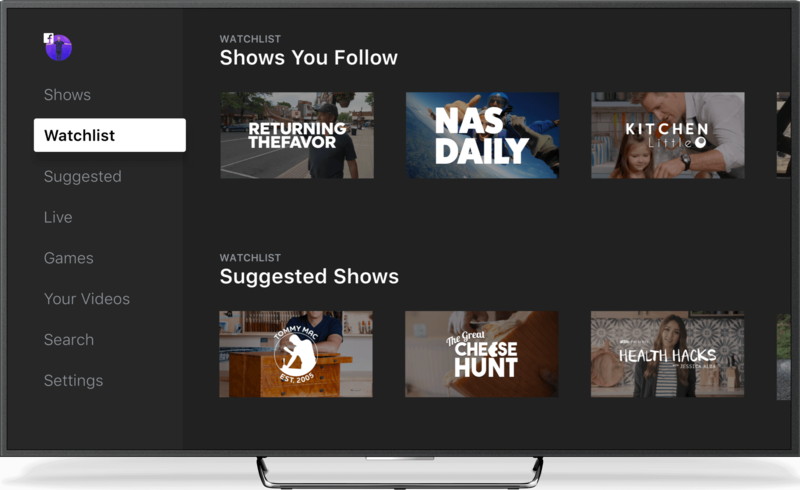 While this may be obvious (what, with Facebook being a Social Media platform and all), Facebook Watch will allow users to become even more social. This time, it comes in the form of joining discussions and interacting with people who like shows, and being able to join groups with people after a show ends. This is a unique idea. We expect fans of Facebook Watch shows to be much more engaged and interactive. What Kind of Facebook Watch Shows Will Be Available? Facebook announced that they will be offering a wide variety of shows. The types of shows offered will be those that engage with fans and community. It will also feature live shows that connect directly with fans, shows that follow a narrative arc or have a consistent theme, and live events that bring communities together. Having live events streamed through Facebook seems to be a big breakthrough. Major League Baseball was mentioned as a broadcasting option, which will stream games each week. This would give people the ability to watch their favorite team live while also connecting with their friends and unmet fans, all while on the Facebook platform. This will be a home run for sports lovers who have become frustrated with the little streaming options available to them. Nas Daily – featuring 1-minute clips from around the world every day. Gabby Bernstein – motivational speaker and #1 New York Times bestseller. Tastemade’s Kitchen Little – funny show that challenges kids to watch how-to cooking videos and then teach recipes to professional chefs. Returning the Favor – series hosted by Mike Rowe, where individuals are highlighted for benefiting their community. In an article written by Business Insider, multiple A-list celebrities have been tapped to star in Facebook Watch shows in the future. It also revealed that Facebook has approved a virtual-reality dating show from Conde Nast Entertainment where people meet in VR and get to know each other before meeting in real life. It would seem that options won’t be a problem for Facebook Watch consumers. There will be a little bit of everything, ranging from comedy to inspiration. Business Insider also mentioned something Marketers will look forward to: “Facebook’s primary means of monetizing its original shows will be through ads in the middle of the video.” Apparently there has been months of testing with multiple publishers. While this format is not available to all just yet, advertising on this new medium has a lot of potential. The official launch happened on August 10, 2017, and will slowly be rolled out. Check here often for updates on how it all works!